Alpha Rho is student-run with many opportunities for leadership and camaraderie. For many, membership in Alpha Rho will be a noteworthy academic credential on their personal resume or college applications. Read about the chapter online including a list of the 2017-18 speakers, social events, service projects, and fundraisers. Alpha Rho meets on the 2nd Friday afternoon of each month from September through May from 3:00 pm – 4:15 pm in Oakton. 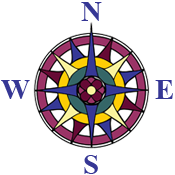 Alpha Rho is sponsored by Compass Homeschool Classes, but teens do not need to attend Compass to join. Members must apply with a brief personal statement, documented achievement test scores, and proof of homeschool standing. Please note that accepted test scores cannot be administered by a parent, and this may affect how you approach your year-end testing in Virginia. For more information and Frequently Asked Questions, see the chapter information page.